1 Set Red Revo with protection category 4 for the bright lights and high mountain glaciers. 1 set Smoke Silver with protection category 3 and 1 set Rosa Silver for normal day in the snow categroy 1. 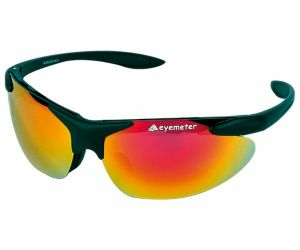 The sunglasses have scratch resistant glasses, vented side panels allowing sweat to flow freely and not cover the glasses. Soft rubber nose pad and glasses legs. Optimal horizons.